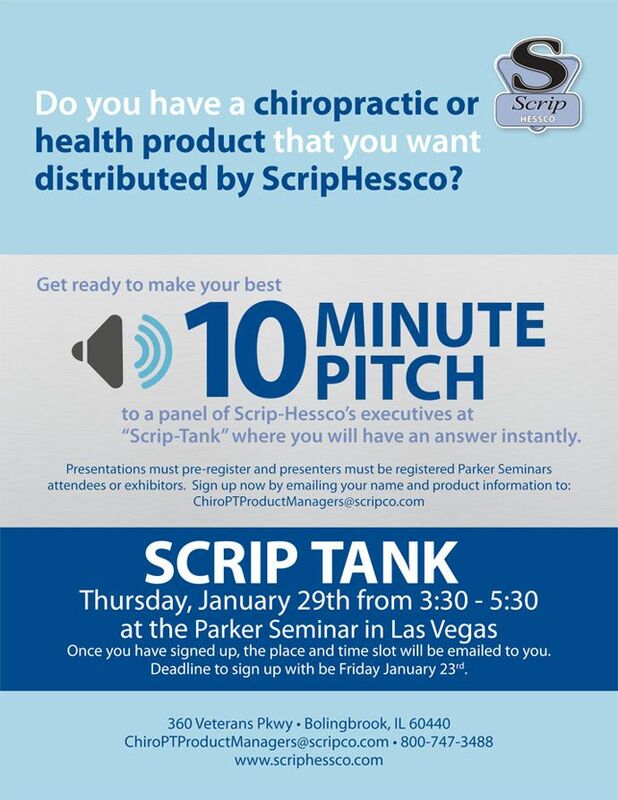 Do you have a chiropractic or health product that you want distributed by ScripHessco? Once you have signed up, the place and time slot will be emailed to you. Deadline to sign up with be Friday January 23rd. This entry was posted on Wednesday, January 14th, 2015 at 7:24 pm	and is filed under Chiropractic Tips. You can follow any responses to this entry through the RSS 2.0 feed. You can leave a response, or trackback from your own site.